Valentine Cherry is a hardy deciduous shrub and hybrid variety of the University of Saskatchewan Sour Cherry released in the Romance Series of dwarf sour cherries in 2004. 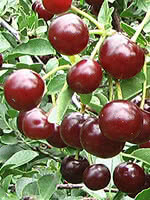 This medium-sized self-pollinator produces tart, bright red fruits in large clusters in late summer that are perfect for jams, pies and jellies. 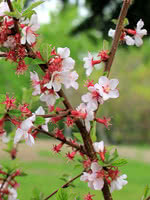 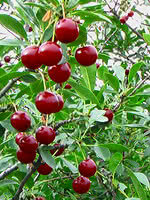 Valentine Cherry is ideal as a landscape or orchard tree. 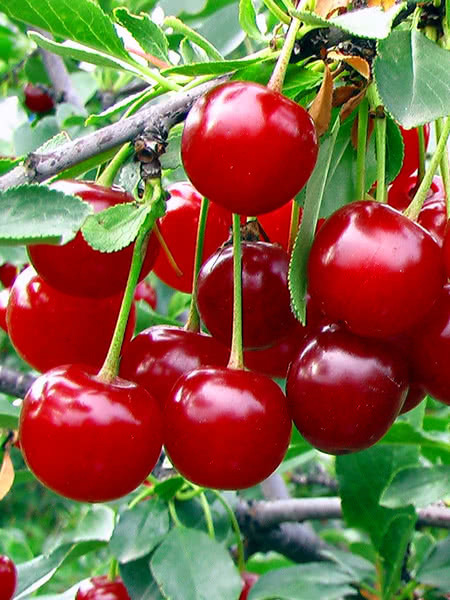 Due to declining demand, 2015 was the final year we grew Valentine Cherry.